We discussed the first two steps in the previous blog. Let us now see what the remaining steps entail. Based on the results and inferences that can be made from the Analyze and benchmark phase, a transformation agenda can be generated. This agenda, if adopted, will act as a roadmap to convert your goals into reality. The Vision and Mission must be clearly drafted and put in place. The roadmap should contain both long-and-short term strategic objectives that are aligned with achieving the business goals. At a very high-level, the roadmap should include the objectives being targeted, the low-hanging fruits, quick wins, and the potential benefits. 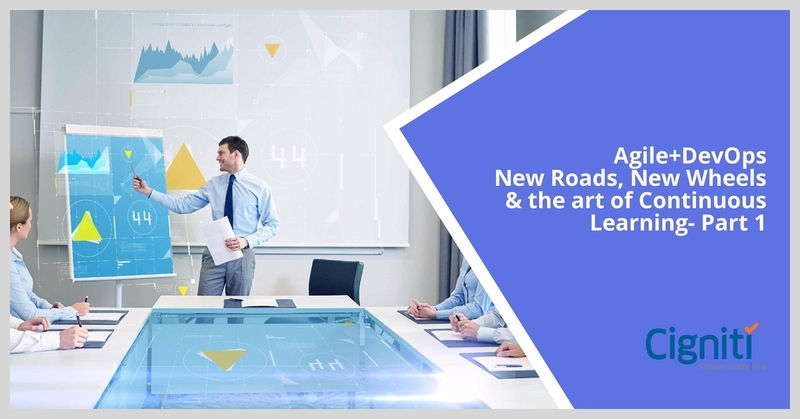 Usually a roadmap must be proposed against a set of focus areas or business objectives governed with a strategy, reference models, and enablers that complement the mission. In a testing environment, the organizations can focus on the following focus areas including, but not limited to Testing in Agile Environment, Test Coverage Enhancements, Improving the Testing Lead times, and focusing on the elements that enable the transformation. Organization can do a quick cost benefit analysis, prioritize the areas for improvement based on the value proposition, the business impact, and return on investment (ROI). Categorizing the improvement areas will help teams to stay focused and resilient. Usually efforts invested in enhancing customer satisfaction, quality, and product alignment take precedence over efforts being made on improving the operational efficiency. That said, a roadmap without a proper transformation approach is as useless as trying to reach a destination without a proper route map to reach there. Transformation levers such as Knowledge base, Skilled resources, Subject Matter Experts (SMEs), infrastructural needs etc. In essence, the Target Operating Model is a low level framework and a workable solution with the finest of the details in the transformation strategy. In the later stages, transformation can be noticed in the re-baselining of processes, training the associates on improved process, piloting the improvements in a phased manner, collecting the feedback and then re-optimizing the processes. This is an everlasting, continuing loop that organizations should tend to adopt for meeting the ever increasing demands and needs of their clients/customers. Having discussed the roadmap and transformation stages, let us get now get an insight on the process improvement journey. A continuous process improvement requires formal self-assessment/Independent audits/Third party audits to be put in place with the help of industry accepted frameworks, or customized and home grown frameworks. The incessant demands and needs of the customers force the organizations to adapt new changes and improve existing processes. Hence, the entire ecosystem we spoke about earlier comes into scope and is again applicable. Audits and assessments give us ample opportunities for finding the shortfalls in the system against the current business needs or prevailing conditions, thus enabling us to focus on the new improvement aspects. 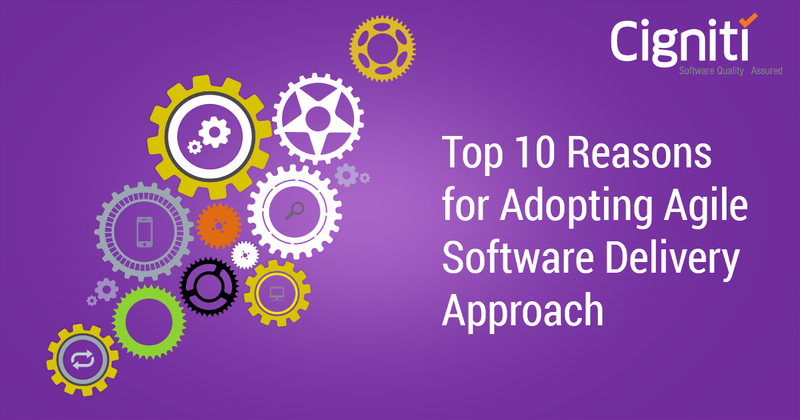 The shortfalls are addressed by taking corrective actions that enable improving the existing agile testing environments. This never ending journey helps organizations keep on their toes and motivate them for making continuous improvements to their process according to the changing demand scenarios created by their customers. These changes and improvements help come up with better, and user friendly features that make the product more popular and stable, thereby bringing about a much desired increase in the demand. 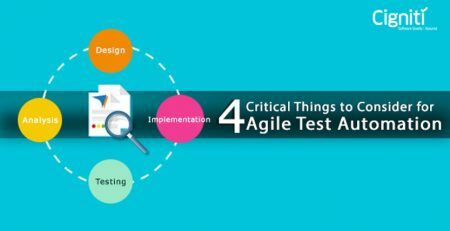 Organizations that try to follow and implement these 5 steps to improve their agile test maturity will definitely see a marked positive impact in their business outcomes. If you are a large organization trying to implement an Agile test automation strategy, contact Cigniti’s team of test automation experts. Our tool agnostic test automation framework consists of a huge library of keywords that help you build your tests quickly and efficiently, and seamlessly integrate with leading commercial and open source tools. 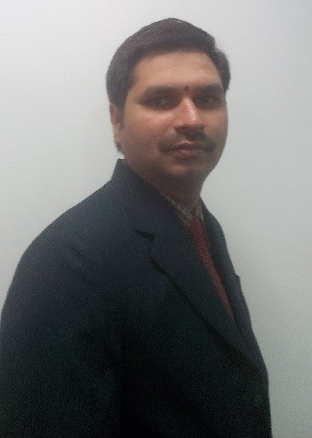 About the Author: Pavan Rayaprolu is a Lead Consultant and an Agile evangelist. He is part of the Advisory and Transformation Services and has helped clients of Cigniti/Cigniti in terms of agile implementation and transformation. Has successfully deployed the Quality Culture through the organization, Process consulting for various clients and endeavored for Operational Excellence. He is a Certified Scrum Master and Scaled Agile Certified Product Manager/Product Owner.